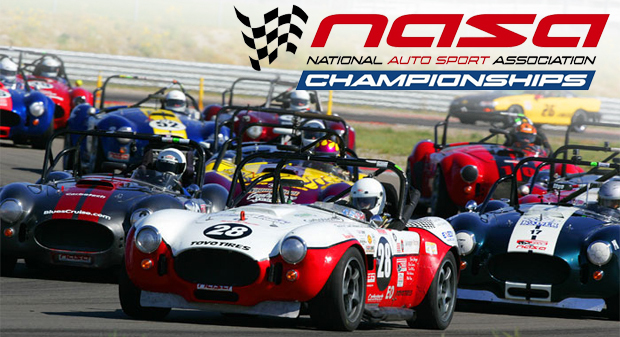 LEXINGTON, OH, (Sept. 10, 2011) – The National Auto Sport Association (NASA) crowned 11 National Champions Saturday at the sixth Annual National Championships presented by Toyo Tires running at the Mid-Ohio Sports Car Course. The weather at the 2.2-mile,13-turn Mid-Ohio Sportscar Course was changing throughout the day, going from sunny and 72-degrees to pouring rain. 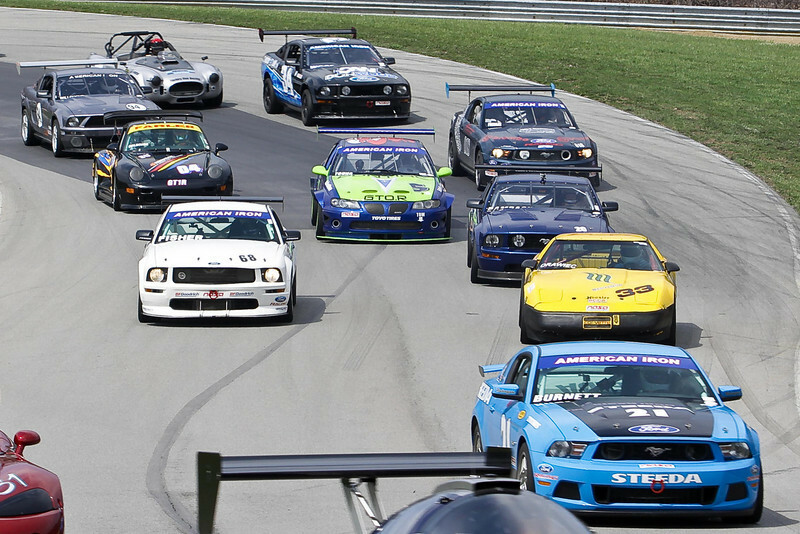 Group A kicked-off the Championship races which included racers in the CMC2 and FFR classes. In the FFR Class No. 8 Paul Kaiser, from Virginia, pulled away from the field on lap nine and never looked back, winning in his Factory Five Racing Cobra, posting a fast lap of 1:38.407. In second was the pole sitter No. 64 Scott McKay, Florida, and third was No. 5 Paul Arnold, from Tennesee. In CMC2 Anders Sjoblom, from Michigan, in his No. 65 Ford Mustang won a very close race from the pole. Sjoblom was locked in a great two-car battle for the win with Chris Ferraro, South Carolina, in his No. 14 Ford Mustang early. Later in the race traffic separated the two and Ferraro began to run out of gas on the white flag lap. He was able to limp home in third. Ferraro ran the fastest race lap of 1:39.207. Taking second was Bob Denton, Illinois, in the No. 67, Pontiac Firebird. In PTA Scott Perkins, from Georgia, took the win in his No. 27/Chevrolet Corvette. Mark Nunnally, Georgia, came second in his No. 71/Chevrolet Corvette Z06 and Jason Ireland, from Tennessee, in the No. 7/Chevrolet Corvette Z06 took third. Derek Whitis, from Florida, took the top step of the podium in PTB in his No. 125/Mazda MX5. Luke Wilwert, Ohio, drove his No. 35/Acura TL to second with Matt McIntyre, Arizona, finishing third in his No. 311/BMW M3. Winning ST1 was David Pinitaric, from Ohio, in his No. 40/Corvette Z06. In second place was Alan Sweers, Michigan, driving the No. 38/Dodge Viper, with Quentin Boatright, North Carolina, coming third in his No. 957/Porsche 944. In ST2 Dean Martin, from Michigan, driving the No. 88/Ford Mustang took the class win. Martin was followed by David Fazzino, Connecticutt, in his No. 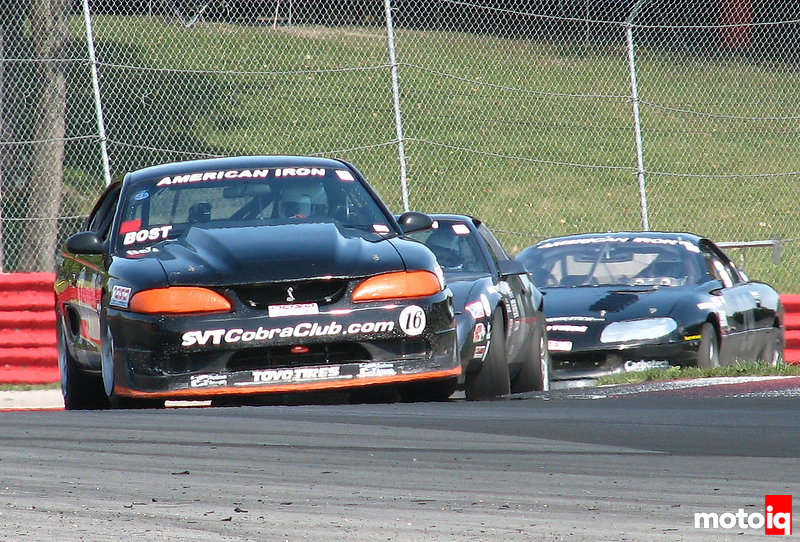 101/Mitsubishi Evo and taking third was Thorpe Logemann, California, in his No. 3/Mazda RX7. In Super Unlimited Ryan Ellis, from Virginia, driving his No. 01/Superlite Coupe used his traction control to conquer the rain and win the class. Robert Gewirtz, Ohio, came in second in his No. 2/Diasio, third was Troy Lindstrom, California, in his No. 66/Chevrolet Super Truck. 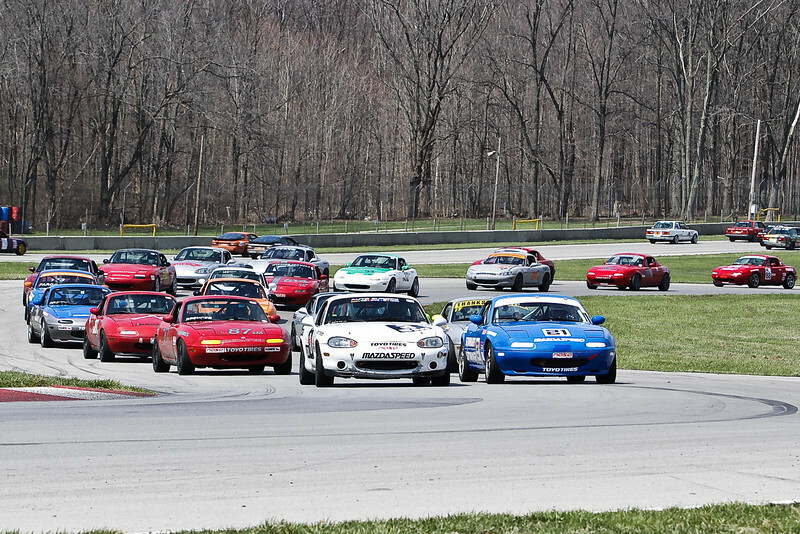 In Spec Miata, the race started under a light sprinkle of rain. David Spencer, No. 87/Mazda Miata, from Kentucky, got into the lead early with Nathanial Sparks, Alabama, No. 12/Miata, second. Two laps into the race, rain began to fall heavier on the Mid-Ohio circuit, forcing drivers to run the rain line on dry tires. On lap five, four of the top five cars spun off in Turn One with Sparks assuming the lead. A great battle for second between Sammy Valafar, No. 77/Miata, Nevada, and Kevin Gleason, Pennsylvania, No. 81/Miata ensued. On lap nine exiting Turn Four, Sparks spun into the tire wall, handing the lead to Gleason briefly, who started the race 18th. Valafar was able to come back and retake the lead into Turn Four on lap 11 and battled with Sparks. As Valafar and Sparks battled that allowed Greg Stasiowski, No. 32/Miata, West Virginia, to become a factor on lap 13. At the checker, it was Sparks, Valafar and Stasiowski in a race that witnessed more than six lead changes. In Spec E30 (BMW) Robert Grace, Alabama, started from pole in his No. 74/BMW 325 and led the first three-quarter lap until he spun, going to the back of the field. He was able to gather it back up and drive by the field for the win. Eric Palacio, Georgia, took second in his No. 191/BMW 325, with Jonathan Allen, Pennsylvania, No. 87/BMW 325 coming in third. Tyler Palmer, from California, took the win in Spec 944 (Porsche) in his No. 4/Porsche 944. Eric Kuhns, Illinois, in his No. 80/Porsche 944 finished second with Neal Agran, Illinois, coming third in his No. 84/Porsche 944. In Formula Mazda front row starters DouglasPeterson, Florida, and Darryl Wills, Texas, raced to the first corner, neither would give and both ended up spinning off. Wills drove his No. 24/Formula Mazda back through the field for the win, while Peterson, in the 87/Formula Mazda, gave chase and finished third. Zach Silver ran a strong race and finished his No. 93/Formula Mazda in second.